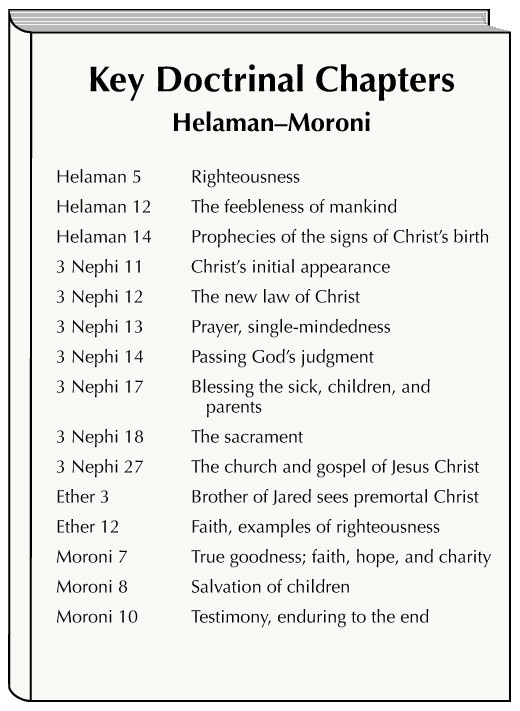 Chapters of doctrinal significance in the books of Helaman, 3 Nephi, Ether, and Moroni are listed and briefly summarized in this chart. The account in 3 Nephi 11–27 of Jesus Christ's visitation and instructions to the ancient American people is the crux of the Book of Mormon. Those key chapters testify powerfully of the Savior, expound his gospel, record how he established his church, and fulfill earlier prophecy about Christ.